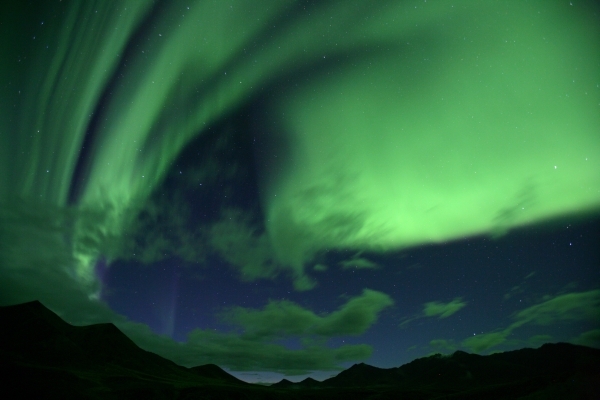 Whether you come for the stunning aurora borealis or the amazing land of the midnight sun, we help you create a personalized tour and collect unique memories. 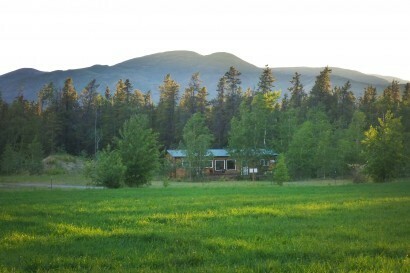 At Sundog Retreat, your welcoming hosts introduce you to the real Yukon. 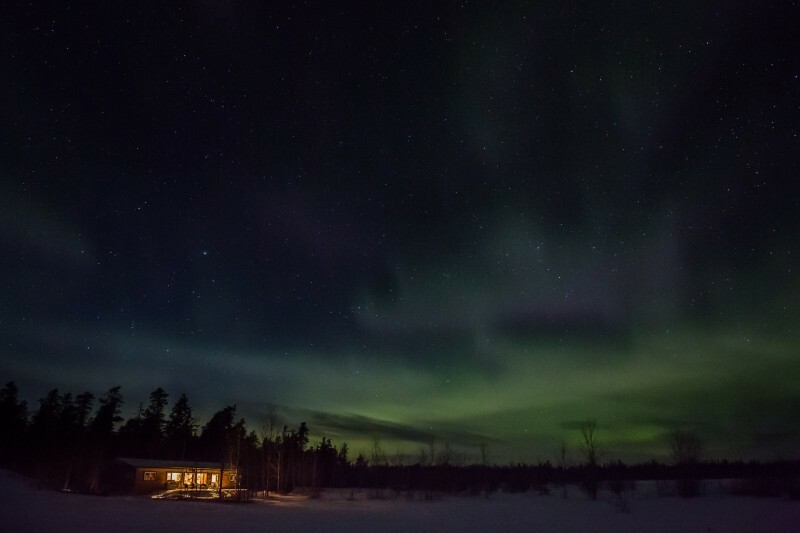 We share our spectacular views of northern lights, away from the glare of city lights. We invite you to walk in the quiet forest and field on our award-winning 65-hectare wilderness property. You'll feel at home in a private cottage with full amenities, watching wildlife from your windows. 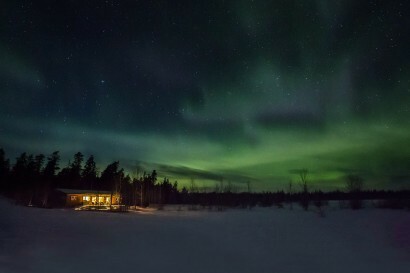 Spend your evenings in front of north-facing windows or around an outdoor campfire as you choose, drinking in the splendour of the northern skies. Fill your days with fun activities: try dogsledding, snowmobiling, snowshoeing or skiing in the winter. In the summer, try horseback riding, fishing, mountain biking and more. 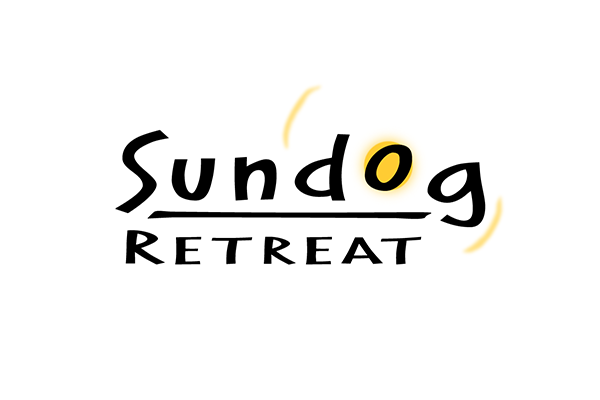 Guests love their experiences with Sundog and say so on social media sites like TripAdvisor and GooglePlus. We've won customer satisfaction awards every year for over a decade.